Shallow South is a Louisiana fishing guide and charter service. Our friendly guides are true professionals when is comes to saltwater charters. Join Shallow South on your next Louisiana fishing charter. Louisiana offers shallow water fisherman an opportunity not too many other places in the world can boast about. We have a plethora of different saltwater species with a good old Cajun appetite. Our redfish are well protected in some of the deepest corners of the marsh allowing them to roam in peace as they hunt for their next meal. This seclusion is an advantage for Louisiana fishermen because these fish are more than happy to destroy anything that moves in front of them. Being a Louisiana fishing guide takes experience, skill, and most of all passion. Shallow South’s fishing guides are passionate allowing us to provide you with the best experience possible. We live and fish here in Louisiana year round allowing us to know the subtle changes in our fishery. We fish these waters for our own pleasure, so our passion extends past putting our clients on fish as we are concerned about the well being of our coast’s future. Fly fishing for any species has to be one of the most rewarding styles of fishing. Fly fishermen get to experience fishing at one of its most basic levels, going hand to fin so to speak with the fish they are pursuing. With fly fishing, technology doesn’t numb the experience of feeling and connecting with a fish. This connection is what makes fly fishing an addiction, not a sport. Take this experience and add in hungry, angry, down right aggressive eating machines and you have fly fishing for redfish in Louisiana! All of our guides fish out of technical poling skiffs. These skiffs are perfect for maneuvering around the marsh and give you the best opportunity to see and catch fish. The guide will stand on a poling platform on the back of the boat while you stand on a casting platform on the front. We will effortlessly glide through extremely shallow water hunting down targets for you to cast to. Our guides’ trained eye will point out fish for you. Fly fishing is our most popular method of catching fish on our trips. We have available all equipment necessary to fly fish but also encourage clients to bring their own if they would like. Some days fly-fishing can be tough in Louisiana because of wind or water conditions so we also provide light spin cast equipment. 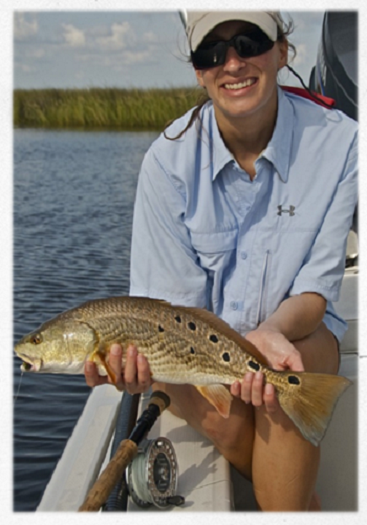 Fly-fishing has to be one of the most rewarding methods of taking redfish so if you feel like you don’t have the skills necessary, we can teach you. Our guides can give you “on the job” training and help you land your first red on the fly. Louisiana is blessed with an abundance of fish and wildlife. 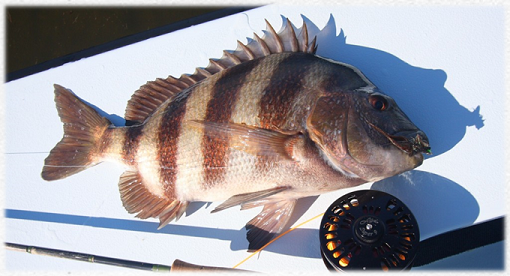 On any given trip you can expect to see redfish, black drum, and sheepshead. Depending on the season we sometimes have opportunities to catch Jack Crevalle, Speckled Trout and Tripletail. 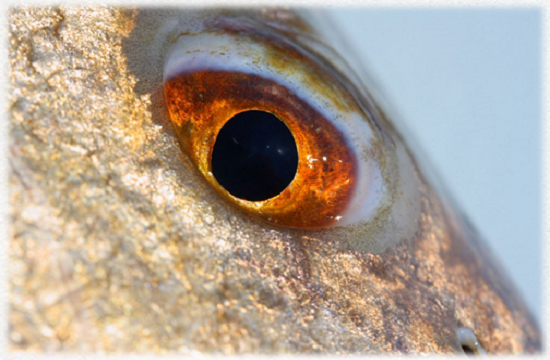 While redfish are our number one goal, these other species can make a nice addition to your photo album. Check out the video below to see us in action springing redfish, and get in touch today to book your trip!